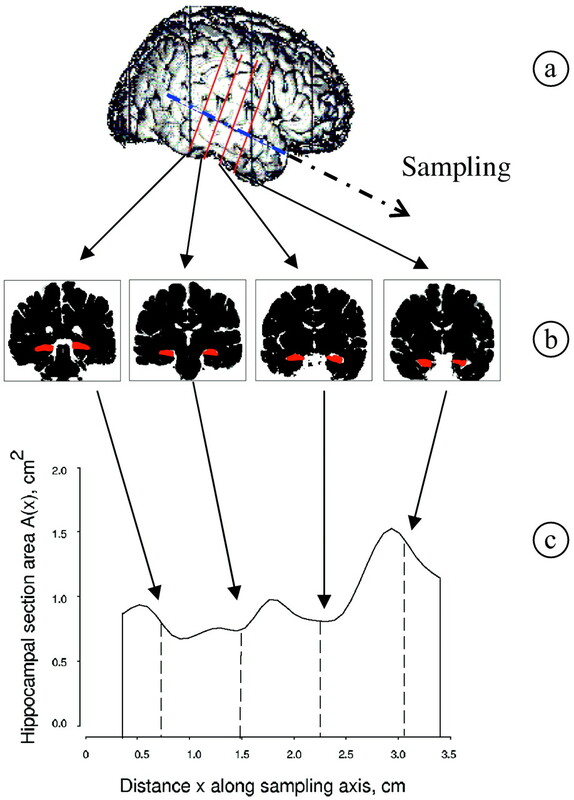 Illustration of the application of the Cavalieri method to estimate hippocampal volume. 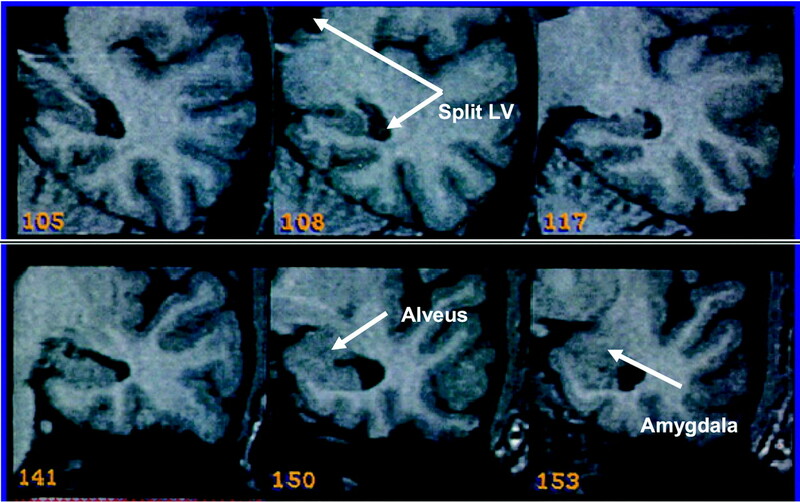 Illustration of the point-counting technique applied to estimate hippocampal volume from MR images of a control (C, top row), patient with left-sided seizure onset (LP, second row), and patient with right-sided seizure onset (RP, bottom row). Illustration of the boundaries of the hippocampus. The splitting of the lateral ventricles form the posterior border (108, Split LV), and the alveus forms the anterior border (150). 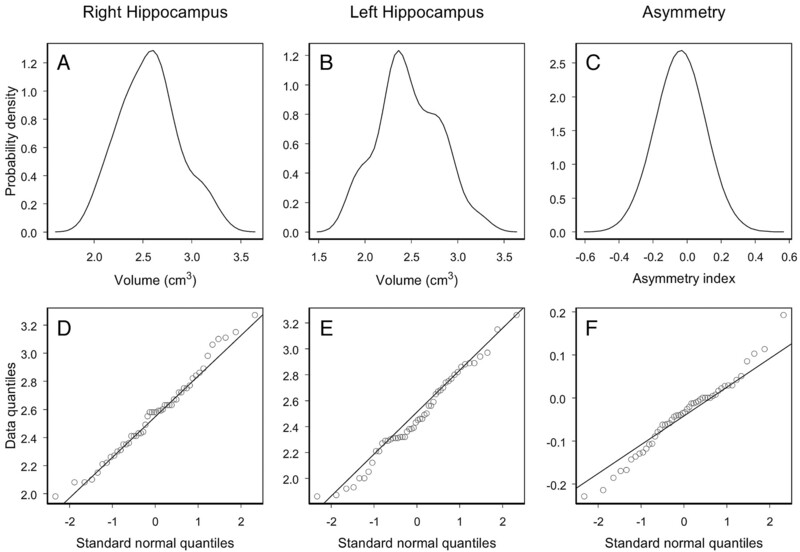 Empirical probability distributions and Q-Q plots for the right and left volume and asymmetry index of the hippocampus of the control population. 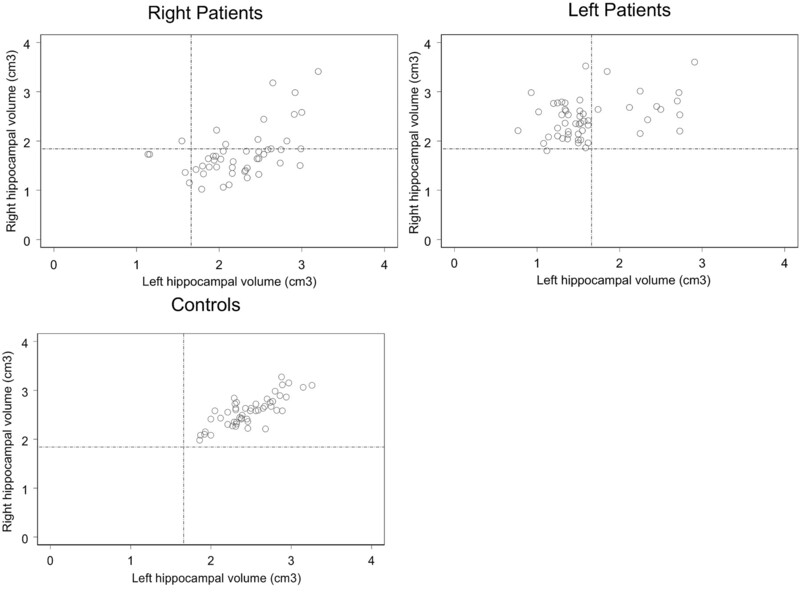 Left and right hippocampal volume estimate (left panel) and hippocampal volume asymmetry index (right panel) for controls and patients with TLE. The dashed lines represent the 99% prediction lower bounds for the left and right hippocampal volume estimate (left panel) and the 99% prediction interval for the hippocampal volume asymmetry index (right panel). The proportion of patients showing abnormal hippocampal volume is indicated in parentheses. 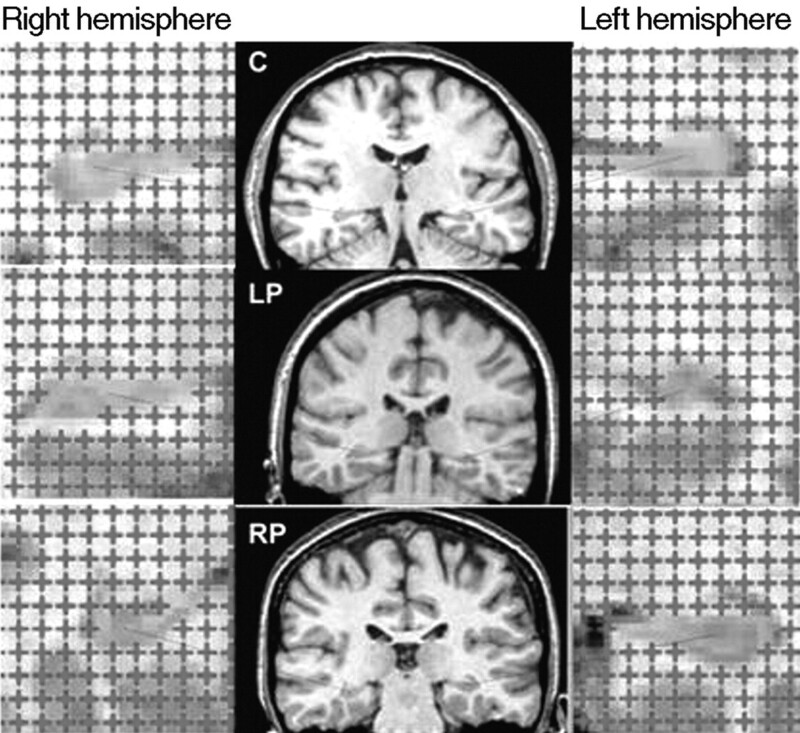 Left hippocampal volume versus right hippocampal volume in R-patients (top left panel), L-patients (top right panel), and controls (bottom panel). The dashed lines represent the 99% lower bounds for the right and left hippocampal volume obtained from the control data. Note:—Laterality of seizure onset was established using electroencephalogram recordings or invasive foramen ovale. HA indicates hippocampal atrophy.